1323.00 sqft. - 4500.00 sqft. 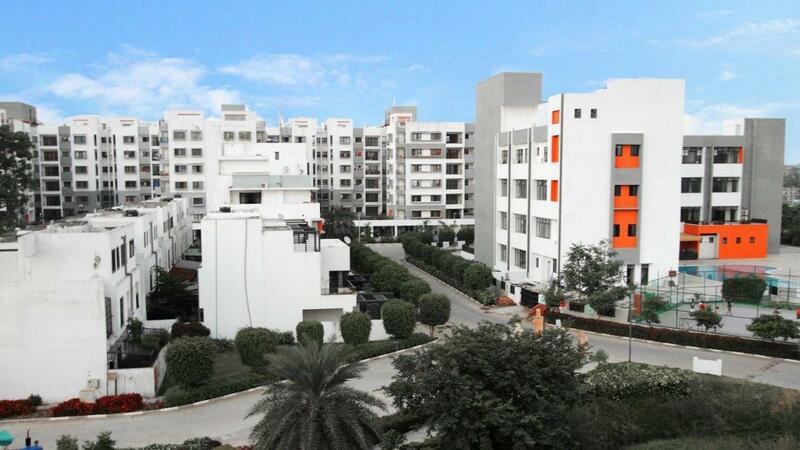 Sprawled over acres of lush green and brilliantly modeled landscapes is a residential township named Silver Spring. At this locale you will be surprised, astonished and pleased. If you and your family become residents of Silver Spring you will be forever happy and you also get the opportunity to dwell alongside like-minded individuals and families. Architects that are internationally acclaimed have modelled and designed this extravagant and luxurious township and hence, you will find nothing but perfection at this locale. Opulent villas, mid rise, high rise and low rise residential towers are all part of this unique and immaculate residential development. A blissful life awaits you only at Silver Spring. Saleable Area : 1323.00 sqft. 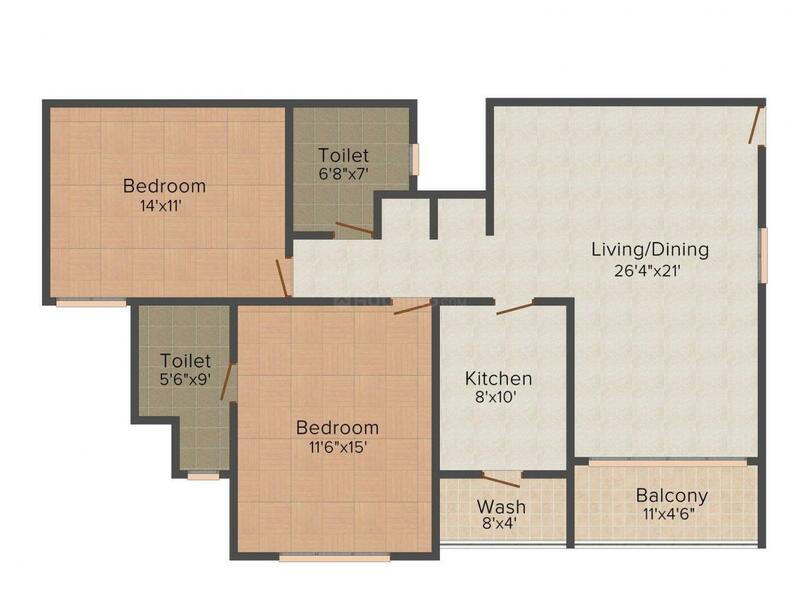 Carpet Area : 1193.00 sqft. Mundla Nayta is part of the commercial hub of Indore, Madhya Pradesh. This locality is exceptionally well connected to other cities of the state because many major highways are connected to it. Indore Bypass Road, Khandwa Road, NH 3, 59, 59 A, Asian Highway 47 and State Highway 37 are all connected to Gram Nayta Mundla. Devi Ahilyabai Holkar Airport and Saifee Nagar Railway Station along with Lokmanya Nagar Railway Station are the nearest modes of National and International transportation that lie close by. The Millenium School, Gurukul Academy and SDPS Women’s College all lie in this area and are among some of the most renowned educational institutions of Indore. Treasure Island Mall, Central Mall and C21 Mall are the nearest malls from Mundla Nayta. Silver Realities & Infrastructure Pvt. Ltd. is a multi-award winning real estate and land development company that operates chiefly in the state of Madhya Pradesh. The aim of the company is to redefine the realty scenario of the state and gradually the entire country. Silver Realties came into being after two successful and prolific companies decided to launch a joint venture. These two companies are none other than M Jhaveri Group and FIRE Capital. M Jhaveri Group is led by Mr. Mukesh Jhaveri and under his tutelage the company and its workforce have developed several property in the city of Indore. Many iconic landmarks have been delivered by this company in its 20 years of existence.